Pixie sticks… aka kiddie crack. I couldn’t even begin to tell you how many of these sugary shots I downed as a kid. These little straw like sticks of powdered candy were a favorite of mine, and most every other kid I knew from elementary school. Can we say sugar high? I once knew a kid in middle school who took it a little too far. He had the bright idea to sniff one, acting as if he was cool in doing so. Yeah. That resulted in a horrible headache. Sugar highs aside (kids don’t care about crap like that) I know my own kids enjoy them just as much as I did. They would probably have lived off of them, and any other candied item if given the option. Balanced diet, right? When I saw a recipe for a make-it-myself version, my dormant sugar censors kicked into high gear. The sons were totally on board. And all this with ONLY two ingredients. That’s right, two. I couldn’t believe how easy it was to make our very own little sugar shots. Seriously, like less than 10 minutes. We made them just for fun this time, but I’m definitely going to be whipping out a bunch as part of the spread for their next birthday celebrations. What table wouldn’t look just a tad more adorable with these? 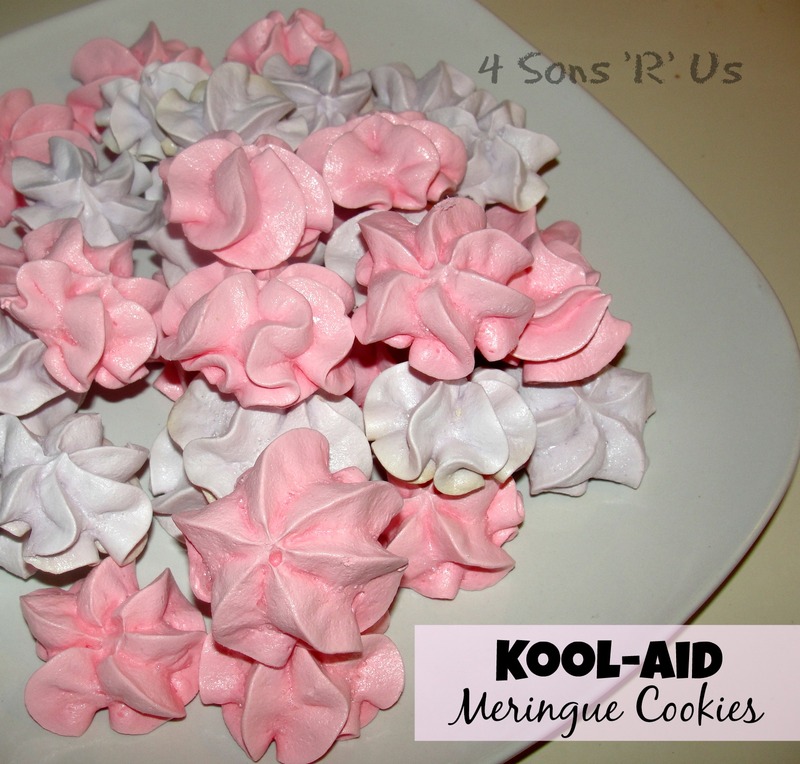 The sons did almost all of the work themselves, and being Mom I was the self appointed glue-gunslinger. I love when we can all get down and crafty will all our bad little selves. 1. Take a sandwich baggie and add 1/2 cup of granulated sugar and the Kool-Aid dry mix. 2. Shake well until evenly dispersed. 3. 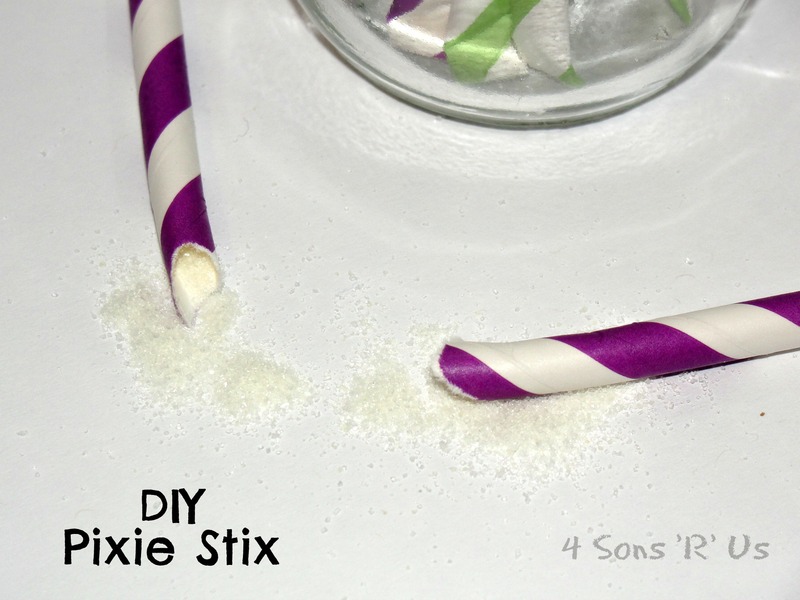 Hot glue the bottoms of the straws closed by adding one dot of glue and then firmly pressing both sides together. I used a pair o scissors to press them together against my counter top. 4. 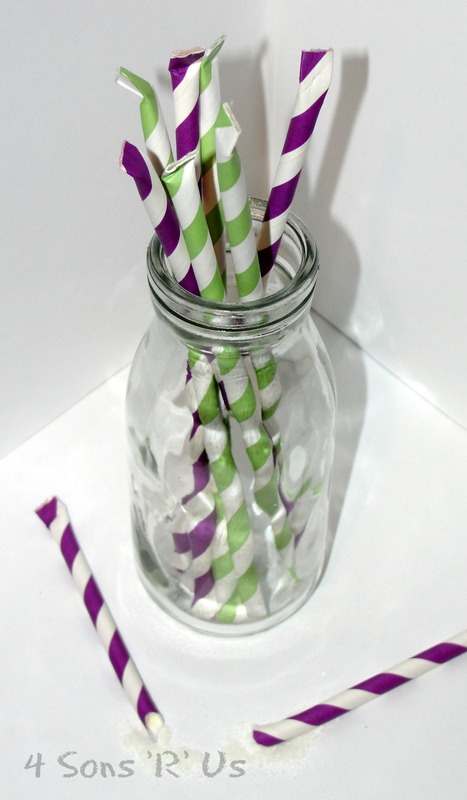 Cut a small hole in the corner of your baggie and fill the straw up until about a 1/2 inch from the top. Then hot glue the other end. 5. Told you they were easy! Each baggie will fill about 12 straws. They aren’t quite as pretty as the ones you can fill up at the candy store but these taste better!